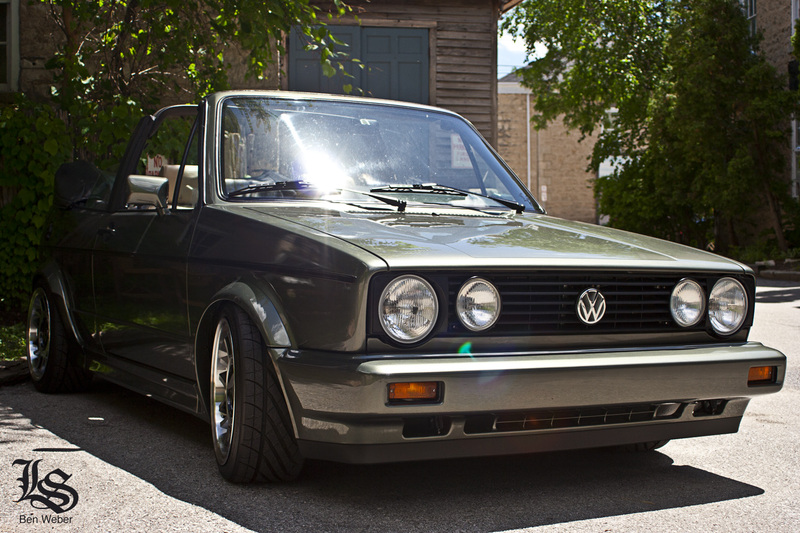 Enter Matt Christensen’s 1993 Cabriolet…. Matt’s Cabriolet spent its prior life as a parts car on the back lot of a local dealership. 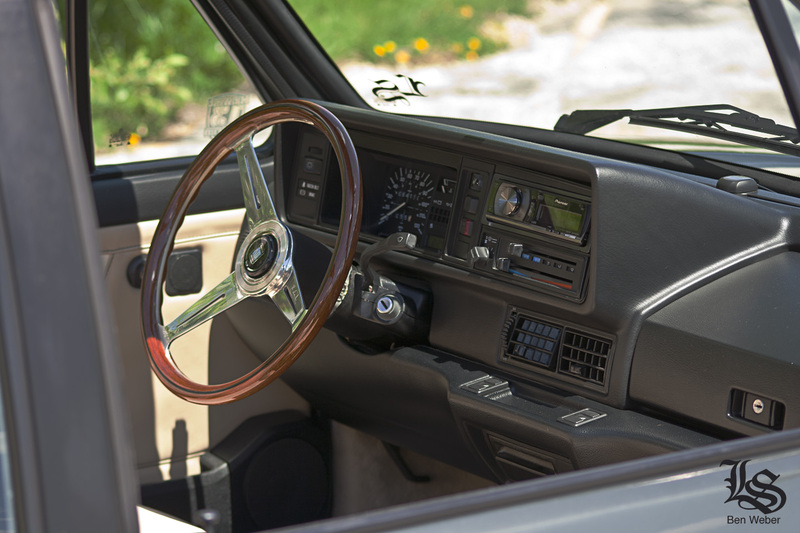 Random interior pieces, side skirts, and bumpers occupied the interior. To boot, it was used to push other disabled back lot cars around. 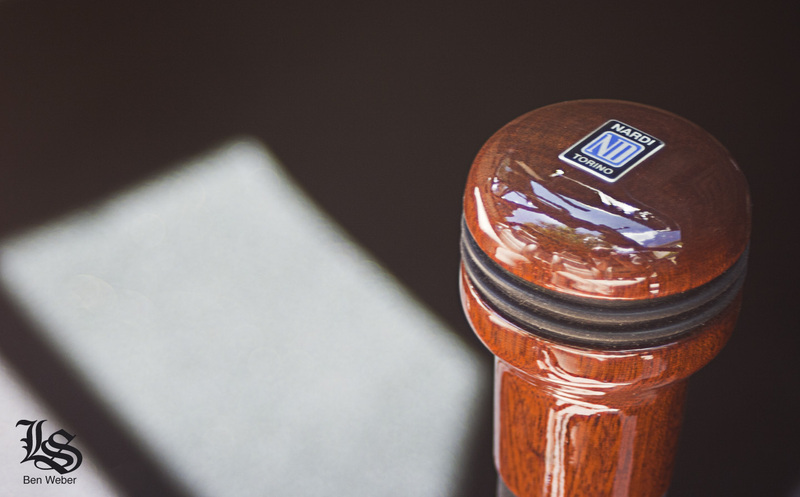 Despite its rough cosmetic condition, Matt decided to tackle a full blown restoration. The restoration began with dropping the gas tank and then things took off from there. The car was stripped down and prepped for body work. Amazingly, the clipper kit (bumpers and side skirts) were in good condition and needed very minor work. 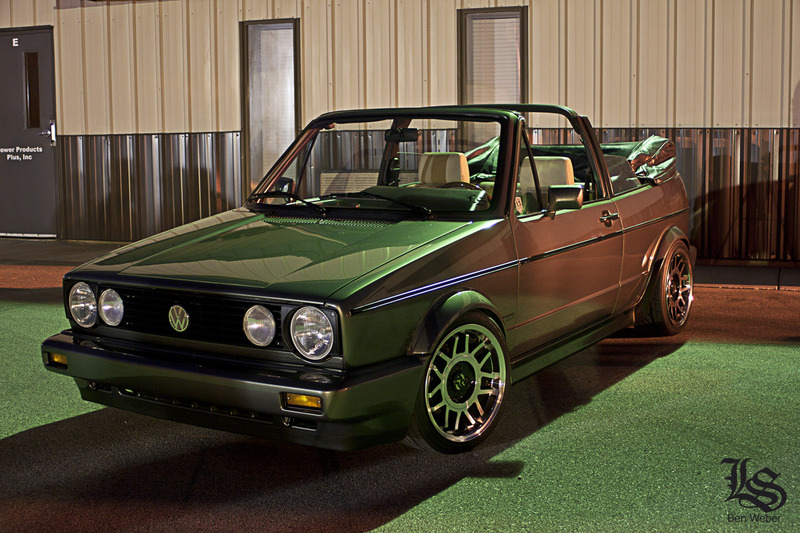 Matt chose a Toyota color for his Cabriolet, which is a very similar color to the MK5 Rabbit Sage Green Metallic. The green is certainly unique and really sets off in the direct sunlight. Matt’s next task was to acquire missing or damaged trim pieces which proved challenging. Unfortunately, Volkswagen doesn’t manufacture or supply many parts for older models so Matt took to eBay and internet sites to find these parts. To say he became good friends with the UPS guy is an under statement. Certainly he could have cut corners or settled for reproduction parts, but being a meticulous enthusiast, Matt insisted on doing everything correctly to achieve the OEM Plus look. 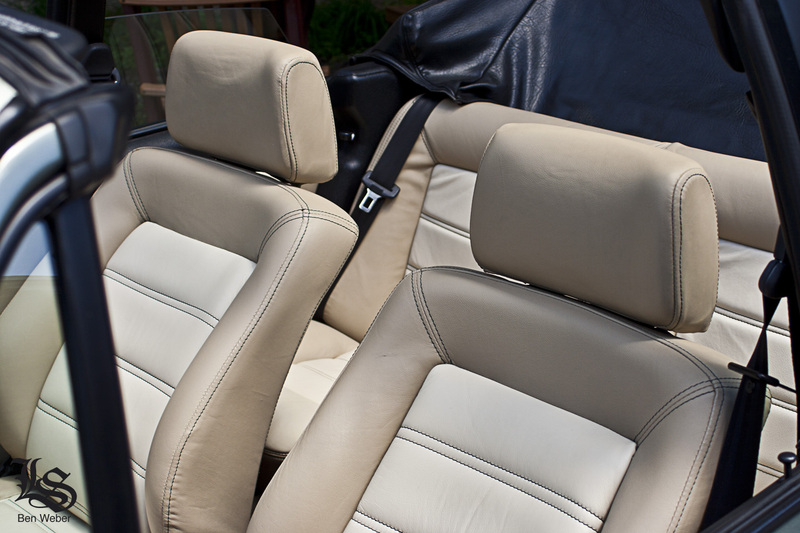 The entire interior was re-upholstered in light tan leather seats with creamy inset and black stitching. The black stitching ties nicely with the black dash and black convertible top. The door cards were also done to match. 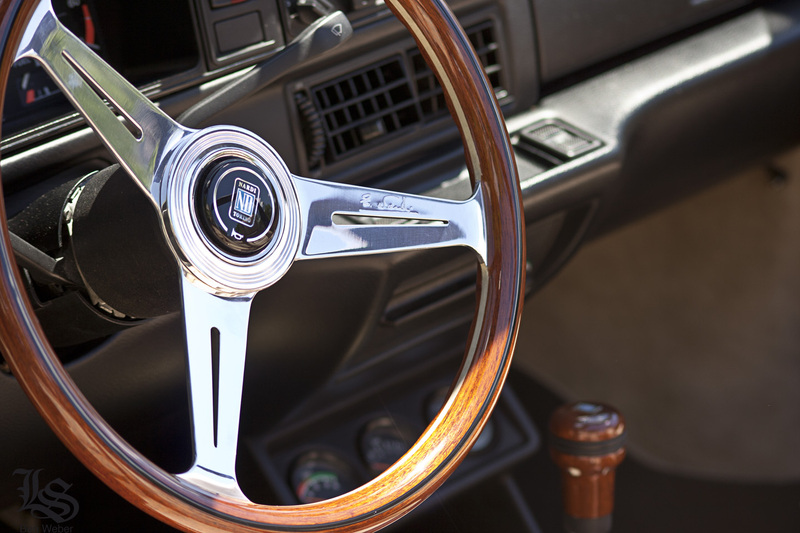 Matt opted for a classic wood Nardi steering wheel and matching Nardi shift nob to complete his interior. Matt went through a set of widened Corrado steelies, a set of Porsche d90s, and a set of BBS RS s before finally settling on fifteen52 Snowflakes for the Cabriolet. 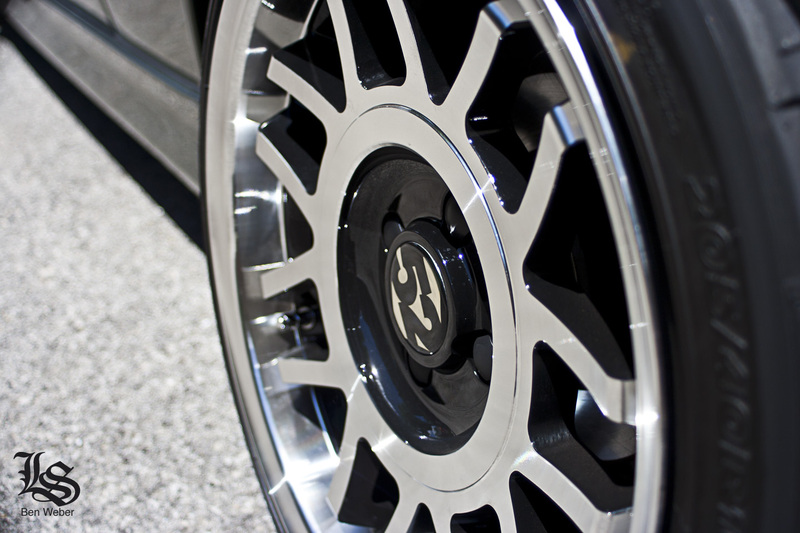 Everything about these wheels just work on the car especially being a reproduction-upgrade of Volkswagen’s original Snowflake wheels. While the VW scene is known for ridiculously low cars that scrape, rub, and bottom out, Matt stuck to the OEM Plus look by eliminating wheel gap with a set of JOM coil overs. For being a 20 year old car, it rides amazingly smooth. What really makes this restoration noteworthy is the level of detail that Matt has put into this build. For example, while some would completely eliminate the sticker behind the gas cap, Matt searched for a new one. Same with the stickers under the hood – all new. Matt even acquired new stone guards for the rear fender arches, although he admits it bothers him that they don’t have the dotted OEM pattern. In all honesty, the car looks like it just rolled off the showroom floor, which is what makes it unique. 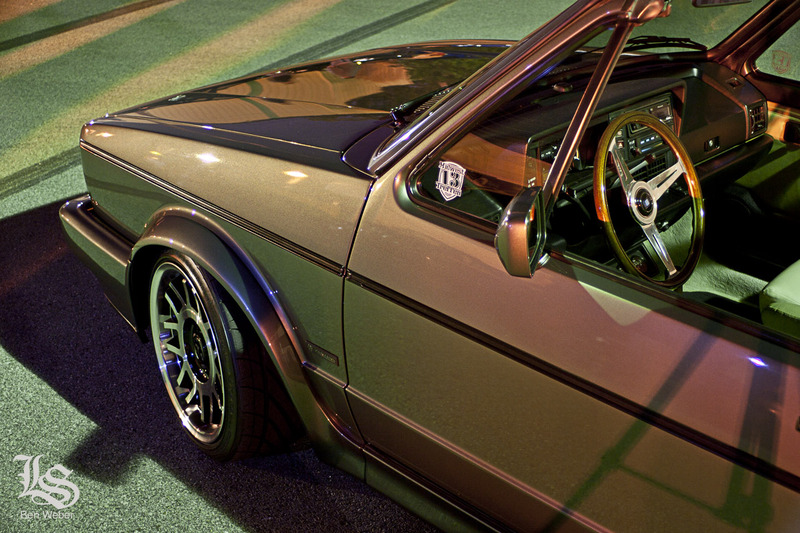 This car is proof that one doesn’t have to be scraping subframe or on the flavor of the week wheels to stand out. One should not build or modify their car to other’s tastes, but their own. Clearly Matt has great taste.